Suggest a question for the Candidates Forum – District 5 United! 3. Required: Your Street or Cross Street, such as "Main St" or "Story Rd/White Rd". Do not list your City. Do not list your State. 6. 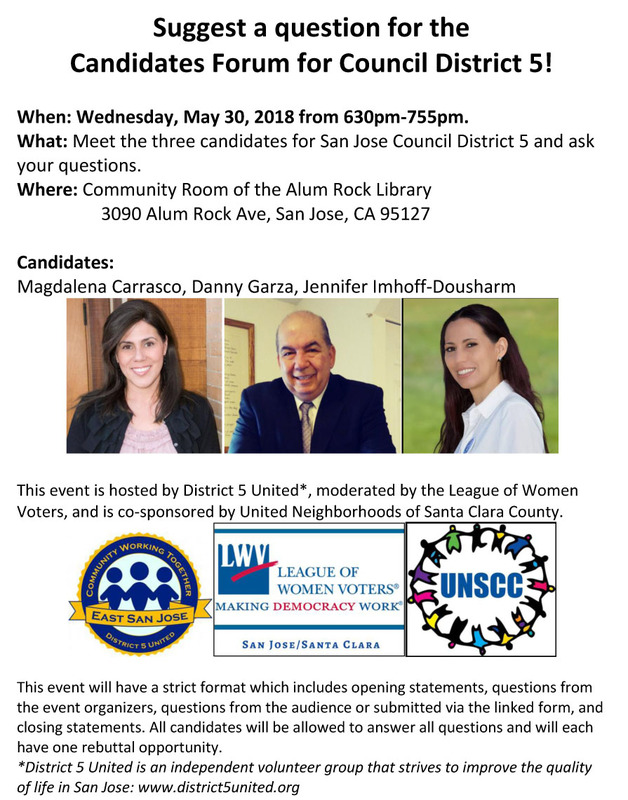 Optional: What question do you suggest should be asked of the Council District 5 candidates at the Candidate's Forum on Wednesday, May 30, 2018, at 630pm in the Community Room of the Alum Rock Library?